We are live from India!!! Following this we visited a local girls’ school that doubled up as a Tardis – we were shocked by the sheer number of students in such a small facility with five to a bench, 75 in a room, and 1,800 students overall with just 30 full-time teachers teaching seven subjects: Bengali, English, Maths, Life Science, Physical Science, Geography and History. Passing by classes, some even without teachers supervising, the focus, calm and dedication to learning was admirable. Both Miss St. Ledger and the Sixth form Executive were amazed at the level of respect they showed to both staff and senior pupils. The classrooms consist of chalk and blackboards with a few textbooks pens and paper, a contrast to the luxury of power-point, projection, photocopying, and interactive whiteboards. 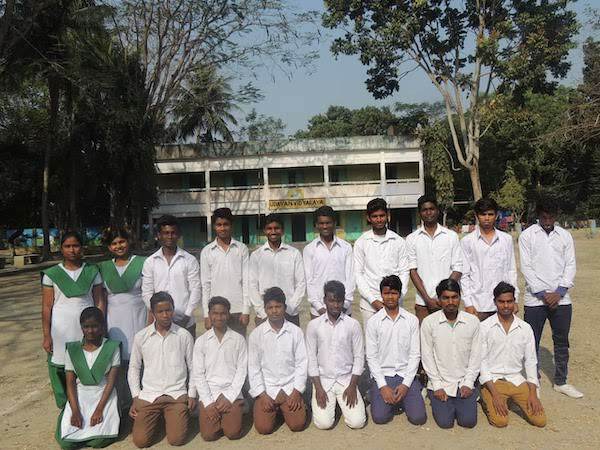 The 18 pupils about to pass out of Class X after their exams. The boys will be returning home to attend local colleges or to find work. The girls are able to stay at Udayan. Approximately 57 new children will be joining in May. The group decided to end the day with a mixture of sports including badminton, football and Duck-Duck-Goose (Taught by Olivia). We are making the most of our last days with the children before we leave. We are already planning our trips back, life at Udayan is too good to never see again! Thanks for reading, like and subscribe! It was another eventful yet amazing day at Udayan, and the group are more than happy to be back to literally the happiest place on earth! DAY7:A WEEK IN INDIA. A LIFETIME OF MEMORIES. The Gospel from mass reminded us all of the talents and gifts we have been granted, urging us to fully utilise these. Udayan and our time in India has been the perfect opportunity to fulfil this potential. Day 5 and 6 were an opportunity for the team to get a bit of rest – the whole trip so far had been pretty relentless since the cancelled flights had caused some to have a 36 hour day, followed by three intense days at Udayan then visits to Titagarh, the ABC and ICOD. A very different wake up this morning, it was the first night in the hotel – and we didn’t have curry for breakfast! Everyone is missing Udayan loads but was really excited for an amazing day that has been planned. Another 5am start! All members of the group were up and eager for prayer and exercises, except for Liam… (he claims he was engaged in private prayer) and were beginning to settle into a routine at Udayan. At 5am, the day starts with the children singing their hearts out at prayer, after which they beckoned us with ‘Hi Sisters!’ and excitedly guide us to their morning karate workout. 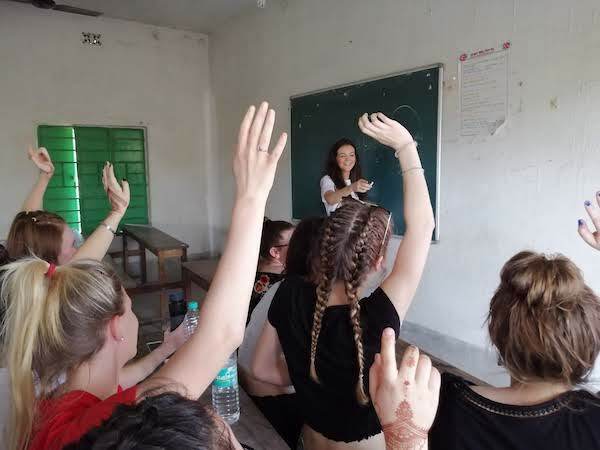 With 6 days to go until we depart for Kolkata to visit Udayan, Vicky McMillan who visited Udayan back in 2015 shares her experiences of her time in Kolkata and Udayan. With 14 days to go until the 2019 group of Year 13 students from St Joan of Arc Catholic School set off for India to visit Udayan – our whole school charity, Sophia, one of the students on the trip tells us how she’s feeling about the trip. Another team is getting ready to embark on the trip of a lifetime to visit the Children of Udayan.